Guitarist Jason Vieaux has become one of the most prominent American players of his instrument, achieving both critical and popular success and becoming an important teacher as well. Vieaux was born in Buffalo, New York, on July 17, 1973. He started taking lessons there at age eight with Jeremy Sparks, and then moved to Cleveland, Ohio for further work with John Holmquist at the Cleveland Institute of Music. Vieaux snared major recognition with a win in 1992 at the Guitar Foundation of America International Competition, becoming the event's youngest winner in history. 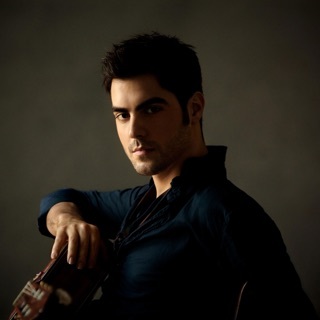 He also took home a prize at the Naumburg International Guitar Competition. In 1995 Vieaux began a stint as an official Arts Ambassador of the U.S. in Southeast Asia, touring Myanmar, Cambodia, Thailand, Laos, India, Nepal, and Bangladesh. Following this appointment, he launched a 53-city tour of the U.S. and France, and ever since then he has been in demand as a recitalist. In 1997 he began teaching at the Cleveland Institute of Music, his alma mater, and in 2001 he was a founder of the guitar department at the Curtis Institute of Music in Philadelphia. Vieaux was also a pioneer in developing formal guitar instruction over the Internet, establishing the Jason Vieaux School of Classical Guitar on the ArtistWorks platform in 2012.